The article about Tourism Navigators on Asahi English News on December 19th in 1998. The town of Oguni in the Aso district of Kumamoto Prefecture, famous for Mount Aso volcano recently started an innovative program-a system of ‘touring navigators’ . Touring Navigators are town guides for tourists, but the principle is slightly different from the volunteer tourist guides found in various part of the country. For example, a navigator could introduce visitors to a woman who farms organically, or a calligraphy teacher who is also an environmentalist. If tourists think think ‘I want to meet that person again.’ the navigator program is considered a success. The program was the brainchild of town citizen Takeshi Hatano.36,who runs a juku cram school in the Miyahara section of Oguni Town. In addition to teaching schook subjects. 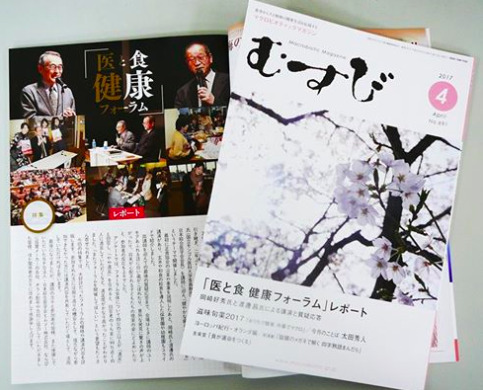 Hatano also invites foreign students, vagabond travelers, sign language interpreters and organic farmer to his juku to talk freely to his students. 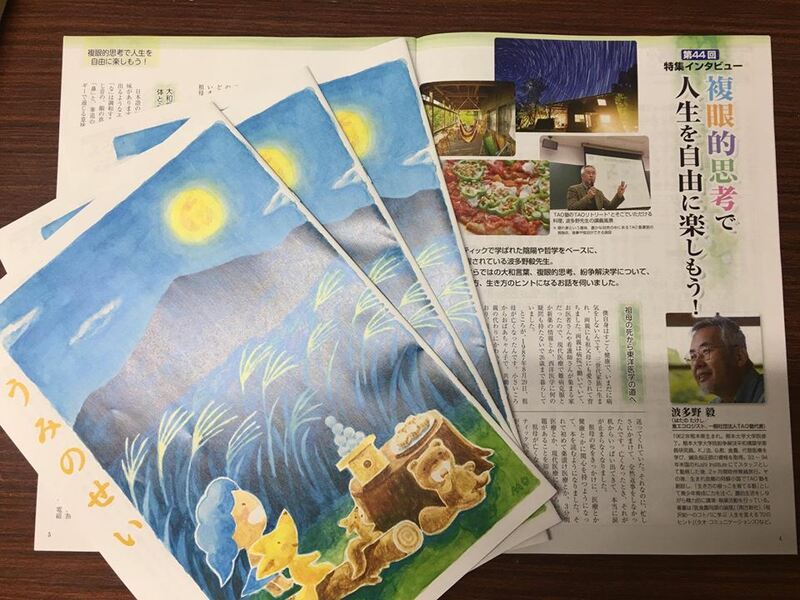 Hatano got the idea for touring navigators after taking his guest speakers to Oguni official tourist attractions like the Kitazato Memorial Museum,　dedicated to a famous bacteriologist, and the Sakamoto Zenzo Museum of Art,which displays the work of local abstract artist Zenzo Sakamoto. It wouldn’t be so bad if it was just once in a　while,　but when guests came every day. Hatano found he had to pay admission each time and see the same things. He had to pay for his guests also, so it was hard on his pocketbook. Museum staff who knew him would say” You don’t have to pay admission. Pleas enter.” But this went against his conscience. 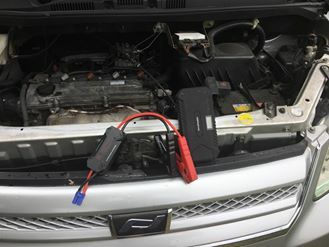 Hoping to find a solution,last July Hatano consulted Toshihiro Ono,35,of the town office’s agriculture and forestry section. Hatano knew Ono from their days as members of table tennis team in junior high school. Ono is not in charge of tourism,　but the small town office has few personnel. After deciding that something needed to be done. Ono drew up a draft plan in addition to his regular work. He called the new program the “Tourism Navigator System”. Under this system,if a navigator undergoes training once a month and is registered as a navigator, he or she is exempted from paying admission to public facilities. The plan was approved by the town, and about a month after Hatano talked to Ono, a notice so soliciting navigators appeared in the town publicity bulletin. Five people , including Hatano, applied ,and the first lecture class was held on October. “Instead of just going around looking at the works. I want visitors to ltalk to the museum staff and learn about the enthusiasm they have for the works and the artist. He thought that if he could serve as the middleman and could introduce the profiles of the museum staff, visitors would enjoy the museum that much more. If conversation is stimulated and affinity develops, they may contact each other by letter or telephone. The tourist may come again, bringing family members and friends. He thought that if opportunities for town citizens-not just facilities-connected people-and out-of –town people to talk are increased, exchanges could become more active. Fortunately, there are many people with unique lifestyles in Oguni Town who can be introduced to visitors. There is a construction company president who makes salt on a mountain. There are a wood-worker and a plant dyeing designer who moved to the town from outside the prefecture. There is a musician who constructed a concert a concert hall. The town intends to increase the member of navigators to 30 in the future. In the lecture classes, besides the staff of the various facilities, many town citizens become involved, exchanging information and proposing new plans. Hatano’s idea is still expanding, and he says.”It might be interesting to solicit navigators from outside the town. If people who like Oguni gather, establish a network and engage in free discussions, the town will be further energized.